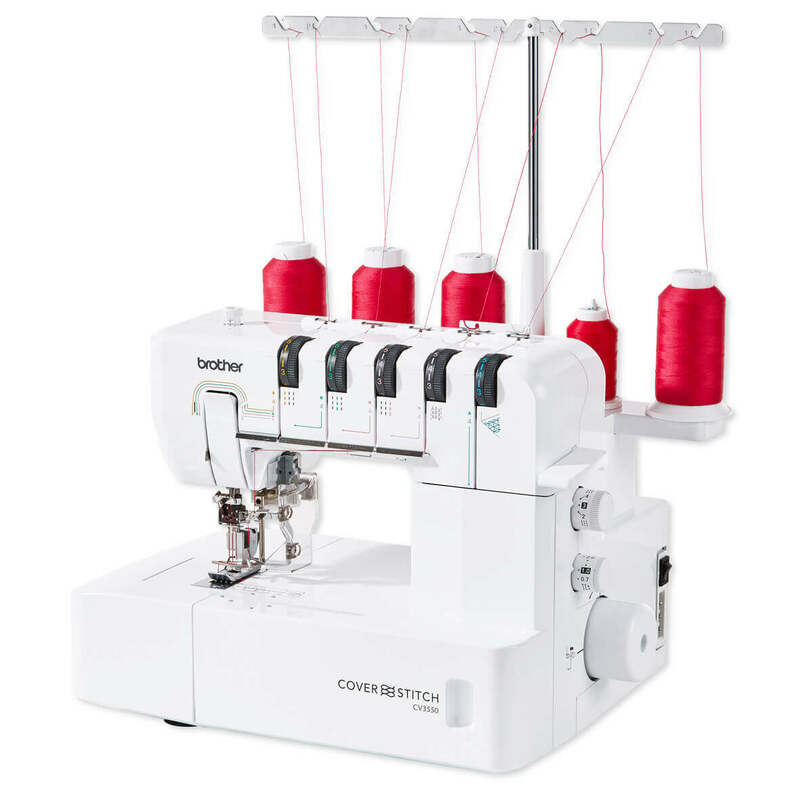 The Brother CV3550 coverstitch machine offers coverhem functionality for a high-quality, sophisticated finish. Easy handling and user-friendly threading systems make hemming and topstitching fabrics and garments a breeze. Two-needle, four-thread top cover stitch. It is perfect for hems, top stitching, at joining seams and edging with elastic and bindings. Three-needle, five-thread top cover stitch. Perfect for hems, top stitching, at joining seams and edging with elastic and bindings.